Built in 1901, this hostel is like nothing you have ever seen... a castle with just 16 rooms! To accompany that we now have new and improved free WiFi available throughout the Hostel! Voted Most Popular Hostel in Melbourne - 2012, 2013, 2014 & nominated for Best Medium Size Hostel in the world! 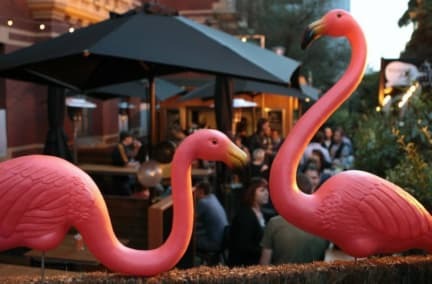 'Located within a grand, heritage building, this is one of Melbourne's few hostels with genuine character” says the Lonely Planet. Situated right next to Brunswick St, the free city circle tram-line, Carlton Gardens and just minutes from China Town, Federation Square and the MCG you won't find a better spot! We pride ourselves on being Melbourne's friendliest hostel and with just 16 rooms and 94 beds we offer a more personal experience. If you are a lone traveller our cafe bar Victoria's Secret is the perfect place to meet fellow travellers. 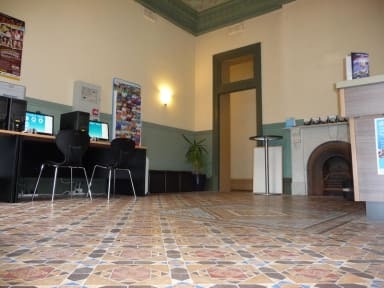 This is not a normal hostel, this is The Mansion..most importantly…..the BEST staff in Melbourne!!!!!! 16 spacious rooms, with high ceilings, stain glass windows and a tonne of natural light. Please note that we strictly do not accept guests under the age of 18 unless agreed with hostel management in advance. All guests must provide photo ID upon check in. It's a very nice Hostel near to the City Center. Everything is clean and organized. The stuff is very friendly and helpful. One of the best hostels I've ever stayed!! Clean, friendly staff and just super cool!! Had a really hood stay here. Everything was clean and the room was actually pretty big. The bathrooms were as well clean and there are enough on each floor. Super Hostel, schaut aus wie ein kleines Schloss. Hab mich gleich wohl gefühlt. Super gute Atmosphere. Almost in the center of the city. Everything was clean. Nice atmosphere. Nice kitchen and bathrooms. Room was okay and clean but not the best one. Would visit again! Staff is friendly. No common rooms except dirty couches at the ground floor, which are not nice to hang out. Bathrooms are good. Rooms are shabby, especially mattress. Kitchen small for the amount of people and by far not enough kitchen ware. Super dreckig. An sich ist das Haus sehr schön aber es wäre dringend! eine Kernsanierung notwendig. Auch war das Zimmer so klein, dass man sich nichtmals richtig bewegen konnte. Die Bettwäsche war dreckig und die sitzecken waren unter den Treppen. Wir haben eine viel bessere Unterkunft für viel weniger Geld in Melbourne gefunden.